Unflavoured creatine monohydrate micronized for maximum effectiveness . 300 gm "Creatine is a nitrogenous organic acid that occurs naturally in vertebrates and helps to supply energy to all cells in the body, primarily muscle. It helps to increase lean body mass and speed recovery from training. 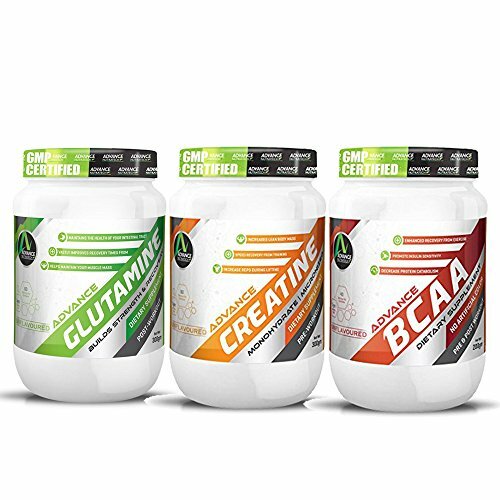 Advance Creatine helps to supply energy to all cells, primarily muscle, by increasing the formation of Adenosine Tri-Phosphate (ATP) acting as cell energy reserve also for muscle contractions. Research shows that creatine is most effective in high-intensity training and explosive activities which include weight training and sports that require a burst of energy. " If you have any questions about this product by ADVANCE NUTRATECH, contact us by completing and submitting the form below. If you are looking for a specif part number, please include it with your message.